A dramatic and heartwarming story from foster carer, Rosie Lewis. Ellen, a 28-year-old office worker is so shocked by the sudden birth of her baby that she abandons the newborn in hospital. Foster carer Rosie Lewis begins visiting baby Hope in hospital, then a week later she is released into her care. 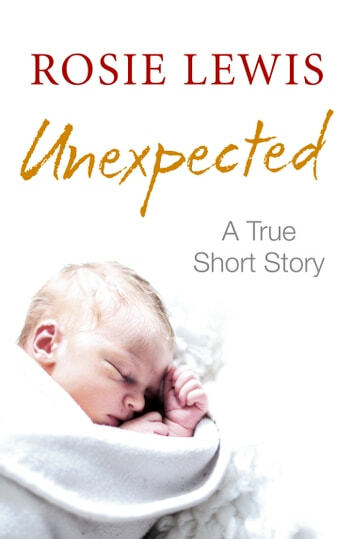 At first Rosie struggles to understand how any mother could abandon a small baby, but when Ellen begins daily visits with Hope, Rosie sees a young woman traumatised by a dark secret. Rosie wants to help the young woman and the baby in her care and must fight to bring them together. Patience, love and understanding goes a long way in life! A lovely jourey of how the bond between mother and child can overcome anything. Enjoed this short story. Heart warming and full of special moments. It was just the right amount of true feelings, that has gotten me to read more from Rosie Lewis.